Brewer Description: (from website) In the spring of 2014, our friends of Chris Robinson Brotherhood released their album “Phosphorescent Harvest” and kicked off their U.S. tour in the SF Bay Area. 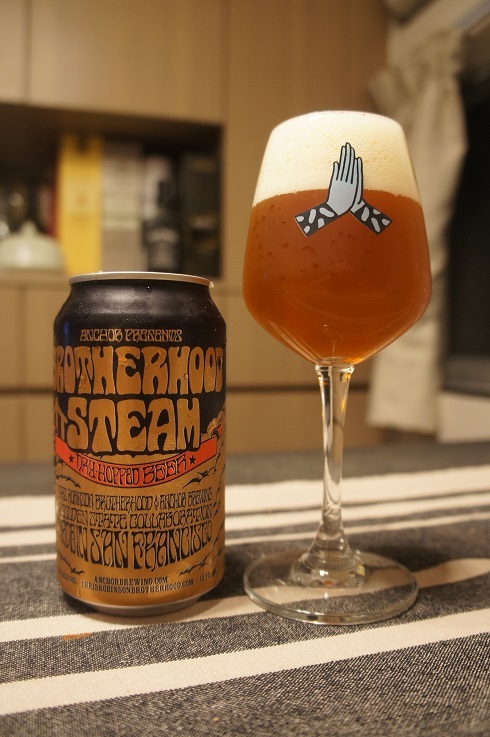 To celebrate, we tapped the first keg of our Brotherhood Steam Beer, a Golden State Collaboration of handcrafted California tunes and handcrafted California brews. 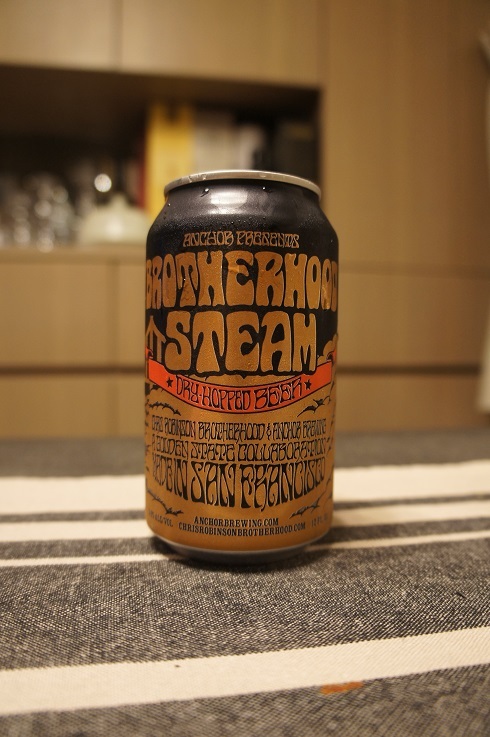 In the spirit of that tradition, we like to think of Brotherhood Steam Beer as an Extra Special Lager (ESL), aka “The Gig Beer” – an easy drinking brew from the first set to encore. Intro: A 12 fl oz can with no visible canned on or best by date. Poured into a stemmed Mikkeller tasting glass. Appearance: A clear copper orange colour with a just less than two finger off white head that had decent retention and left nice lacing. Aroma: Citrus orange, citrus zest, grass, herbal, caramel and toasty biscuit. Taste: Grapefruit, orange, lemon, citrus zest, caramel, biscuit malt sweetness, herbal and floral. Overall: Nicely balanced and easy to drink.